having hurt my ankle going downhill. covering their bodies like mosaics. my feelers out and tingling, smelling the currents. as I dry myself off with a towel. pops up like some reminding ghost. but pull away into my shell. that on an ancient golden cup. except the one in my deepest heart. descendant of the Aegean, descendant of Thalos. about to swim to separate destinations. and the taste of salt. Note: Milfoil is another term used for the herb Yarrow, also known as Achillea Millefolium, or Soldier’s Wound Wort—referring to Achilles who reportedly staunched his and his soldiers’ wounds with it. as sea pups in paradise. Bio: Bea Garth is known for creating visually rich narrative poetry as well as for her unique figurative ceramic sculpture, drawing and painting. Early on Bea was influenced by her grandfather’s love of poetry as well as her great aunt’s love of Asian art plus her parents’ early occupation as archaeologists. This has given Bea a real feel of living in a multicultural and multi-leveled world. She has been an extemporaneous poetry and arts organizer off and on for many years in the San Jose, California area after also organizing many such events and small press magazines in Eugene, Oregon. For the last few years she has been editing Eos: The Creative Context, an online progressive e-zine devoted to poetry, visual art and social, political and health commentary. She is now often found painting and writing in her new studio in her fiance’s garage and kept company by her three cats. 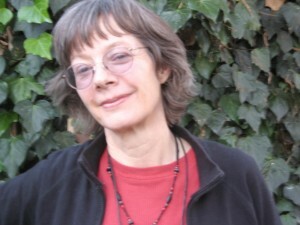 She has previously had poems and artwork published in a variety of small press magazines including Alchemy, Poetic Space, Denali,Coyote’s Dance, The Other Paper, Writing For Our Lives, Caesura, Fresh Hot Bread, Sparring With Beatnik Ghosts and the poetry anthologies Elegant Stew and Women’s Dreams/Women’s Visions.